We are located in Glendale Springs and next to the Blue Ridge Parkway and about 7.3 miles from the town of Jefferson, NC. You’re within minutes to the Church of the Frescoes, Blue Ridge Dinner Theater, Zaloo’s Canoes, and more. The towns of Jefferson and West Jefferson are about a 15 minute drive from us and Boone is about a 35 minute drive away. Blowing Rock is approximately a 45 minute scenic drive from our cabin. The world famous MerleFest is within a 35-40 minute drive into Wilkesboro, NC. 1 bedroom/1 bathroom cabin with a king size master suite, with a ensuite full bathroom, Wi-Fi, Fire Pit in the outside area, AC, and a gas fire place inside. MAIN FLOOR: The open floor plan with a fully functional kitchen, living room with stone gas fireplace, flat screen TV and washer and dryer. King size bedroom with full bathroom. Cabin offers a full size sleeper sofa in the living room. OUTSIDE: From the back deck you will enjoy the nice mountain views and overlook the pond. Our guests will also enjoy the outside wood burning fire pit (wood not provided). Pet Friendly with management approval with a one time pet fee of $75 per pet (plus taxes). Dogs must be kept on a leash at all times, while on the property for safety reasons. Mandatory Cleaning Fee of $65.00. 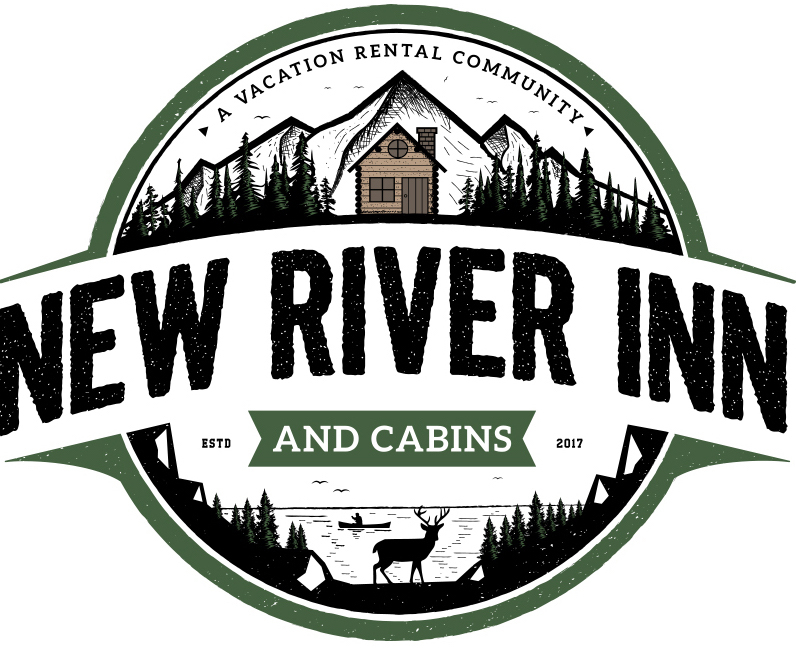 Cabin rentals must be paid in full (7) seven days prior to check in, please contact us for final payment. A 2 bedroom, 2 bathroom cabin with 2 king size master suites, each with their own En Suite full bathroom, Wi-Fi, Fire Pit in the outside area, AC, and a gas fire place inside. MAIN FLOOR: The open floor plan offers a fully functional kitchen (no dishwasher), living room with stone gas fireplace, flat screen TV, both king size bedrooms with En Suite bathrooms. Everything is on one floor for your convenience and easy access. OUTSIDE: You will enjoy spending quality time outside on our deck with nice mountain views, rocking chairs and a porch swing. Our guests will also enjoy the outside wood burning fire pit (wood not provided). Pet Friendly with management approval with a one time pet fee of $75 per pet (plus tax). Dogs must be kept on a leash at all times, while on the property for safety reasons. A 3 bedroom, 2 bathroom cabin with Wi-Fi, Fire Pit in the outside area, and a gas fire place inside. MAIN FLOOR: The open floor plan offers a fully functional kitchen, living room with stone gas fireplace and flat screen TV. The master bedroom with king size bed has an En Suite full bathroom. UPPER FLOOR: There are 2 bedrooms and 1 bathroom on the upper level. One private bedroom with a queen bed and one bedroom with 2 queen size beds. There is also a full bathroom on this floor as well. OUTSIDE: You will enjoy spending quality time outside on our deck with a gas grill and nice mountain views and overlooking the community pond. Our guests will also enjoy the outside wood burning fire pit (wood not provided).